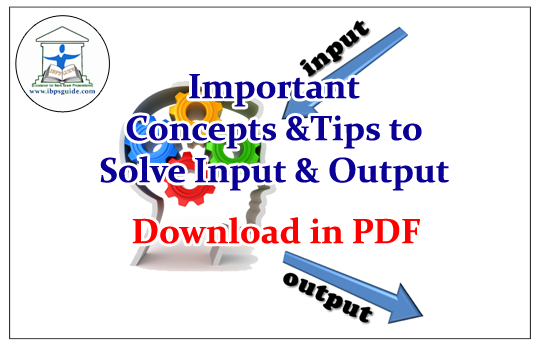 Dear Readers, Important Tips to Solve Input& Output Problems in Reasoning Section was given here, which were most expected questions in Upcoming IBPS PO examination. 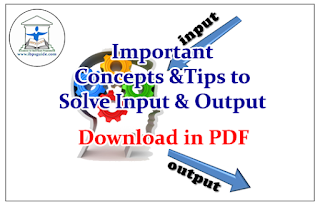 Candidates those who are preparing for the exams can download this in PDF. 1). How many steps will be required to complete the above input? 2). In Step III what will be the position of 16 from left? 3). How many numbers exist between 9 and 24 in Step V? 4). In Step IV, if 16 is related to 19 then which number or word will 9 be related to? 5).Which of the following steps would be the last step but one?